It's fun and exciting designing a custom Public Speaking Trophy using our new Web app! 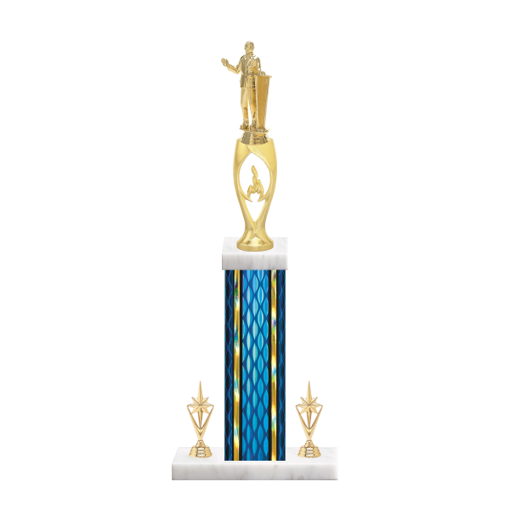 You pick the Public Speaking figurine, trophy cup, column color, side trim and a marble base to create a unique 20" custom Public Speaking Trophy - best of all, we will deliver it right to your door, AND - we engrave it for FREE . . . and nobody delivers faster!